Recent temperature measurements show that the Arctic is warming twice as fast as the rest of the planet, with sea ice this summer shrinking to its smallest extent on record. Natural feedbacks are amplifying the warming as loss of reflective sea ice causes the ocean to absorb more of the sun's energy, melting more sea ice, which causes more energy absorption, and so on. A new piece of dramatic evidence shows that summers on the Norwegian archipelago of Svalbard are now warmer than at any other time in the last 1,800 years, including during medieval times when parts of the northern hemisphere were as hot as, or hotter, than today, according to a new study in the journal Geology. "The Medieval Warm Period was not as uniformly warm as we once thought—we can start calling it the Medieval Period again," said the study's lead author, William D'Andrea, a climate scientist at Columbia University's Lamont-Doherty Earth Observatory. "Our record indicates that recent summer temperatures on Svalbard are greater than even the warmest periods at that time." The naturally driven Medieval Warm Period, from about 950 to 1250, has been a favorite time for people who deny evidence that humans are heating the planet with industrial greenhouse gases. But the climate reconstruction from Svalbard casts new doubt on that era's reach, and undercuts skeptics who argue that current warming is also natural. Since 1987, summers on Svalbard have been 2 degrees to 2.5 degrees C (3.6 to 4.5 degrees F) hotter than they were there during warmest parts of the Medieval Warm Period, the study found. 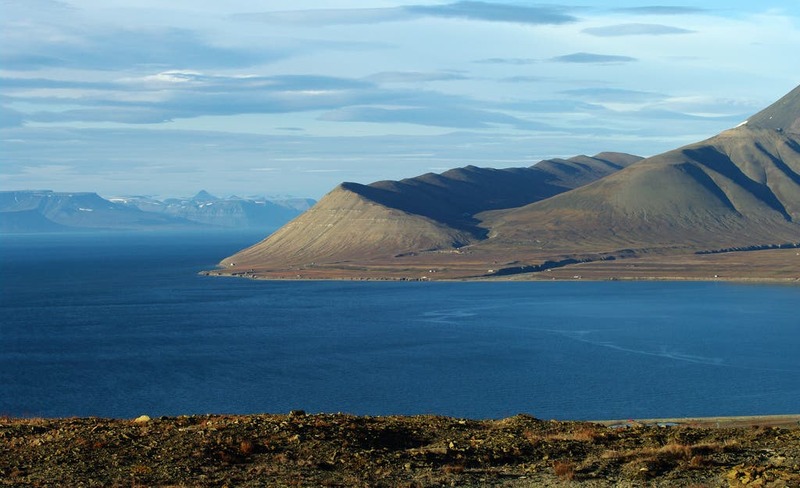 Researchers produced the 1,800 year climate record by analyzing levels of unsaturated fats in algae buried in the sediments of Kongressvatnet lake, in western Svalbard. In colder water, algae make more unsaturated fats, or alkenones; in warmer water, they produce more saturated fats. Like pages in a book, the unsaturation level of fats can provide a record of past climate. So far, most Arctic climate records have come from ice cores that preserve only annual layers of cold-season snowfall, and thus cold-season temperatures. But lake sediments, with their record of summertime temperatures, can tell scientists how climate varied the rest of the year and in places where ice sheets are absent. "We need both ice core and lake sediment records," said Elisabeth Isaksson, a glaciologist at the Norwegian Polar Institute who was not involved in the study. "Here, Billy has found something that tells a different, more detailed story." In looking at how summers on Svalbard varied, researchers also discovered that the region was not particularly cold during another recent anomalous period—the "Little Ice Age" of the 18th and 19th centuries, when glaciers on Svalbard surged to their greatest extent in the last 10,000 years and glaciers in many parts of Western Europe also grew.They suggest that more snow, rather than colder temperatures, may have fed the growth of Svalbard. D'Andrea and his colleagues dated their lake cores by analyzing grains of glass spewed by volcanoes hundreds of miles away in Iceland. Those past eruptions— Snæfellsjökullin 170, Hekla in 1104 and Öræfajökull in 1362—all left unique chemical time markers on Svalbard's lake sediments. "We know fairly precisely when these eruptions occurred, which is rare in the geologic record," said study co-author Nicholas Balascio, a scientist at University of Massachusetts, Amherst. Climate models suggest that by 2100 Svalbard will warm more than any other landmass on earth, due to a combination of sea-ice loss and changes in atmospheric and oceanic circulation, according to the International Panel on Climate Change 2007 report. In a study published last year in the journal Advances in Meteorology, Norwegian researchers estimate that average winter temperature in Svalbard could rise by as much as 10 degrees C, or 18 degrees Fahrenheit.